What Should You Look For In a Perfect Pet Hair Vacuum? You must be wondering what is the best vacuum for pet hair in 2018-2019 that can help you keep pet hair at minimum levels at your home? In this top rated vacuums review, we will cover every aspect of the most favourite pet hair vacuums used at home on regular basis. Dogs and cats are so lovable because they bring joy, happiness and companionship to their owners. They even have their own unique personalities. However, your pets also can bring big clean-up messes with their shedding dog hair on your hardwood floors or tile floors. Dogs roam and play around in your home everyday, leaving behind excessive dog hair on everything they touch and don’t touch. The dog hair that doesn’t collect on your furniture usually ends up all over your hardwood floors in scattered little piles that roll like tumbleweed the moment a soft breeze hits it. The hair shedding is a natural process that affects any pet with fur. You can’t stop it but you can groom your dog regularly to remove extra hair. The only best solution is to clean pet hair as much as possible, especially if you live with people with dog hair allergies and other pulmonary conditions. Finding the best vacuum for pet hair that will be popular in 2018 – 2019 can be much difficult task when you have so many good options to choose from. We selected the top rated pet hair vacuums below based on several factors especially the actual consumer feedback about them. The top rated comparison chart above can help you decide what is the best vacuum for pet hair at your home. Cross-analyse and compare the features of these good pet hair vacuums. We have reviewed the top 10 vacuums in much detail below. This includes the high quality upright vacuums and innovative robotic vacuums both. So, stay with us till the end while we review their pros and cons. Why you can’t rely on brooms and dustpans? Old-fashioned brooms and dustpans don’t clean up pet hairs. They can actually make it worse. Sweeping pet dander redistributes it into the air and traps some of it in the broom, so each time you reuse the broom you will spread the old pet dander everywhere while collecting some new ones. Pet hair and dander is best removed with strong suction power. That’s why many pet owners know the importance of owning a reliable vacuum for pet hair. However, average vacuum cleaners don’t have the necessary suction power to collect all pet hair, so pet lovers still end up using an additional cleaning device to collect the remaining dog hair or cat hair from the floor. In current year, pet owners are looking for more advanced cleaning technology that is effective and won’t take away from their active lifestyle. Gone are the days, for using old-fashioned brooms and basic vacuum cleaners to remove pet hair and dander from the floor. Not only were they not effective, but they also were time-consuming. Shedding is not something you can avoid when you own a furry friend. Pets shed to get rid of old, damaged hair. The amount and frequency of hair shedding all depends on the breed, season or whether they have a double coat. Dogs and cats with shedding short hairs leave fine hairs — you can hardly see– all over your clothes and home floors. Many of the good vacuums mentioned below would work well for picking up this type of pet hair. Vacuums with pet tools or attachments are best because they can provide thorough, detailed cleaning for fine, short pet hairs that are difficult to see on furniture. A robot vacuum would work best to pick up short pet hairs from your hardwood floors because their dirt tanks are small and would be able to collect more short pet hair without having to empty so often. Shedding from dogs and cats with long hair can pose some problems when trying to search for a reliable vacuum that can keep up. Upright vacuum cleaners would be ideal for cleaning up behind your long-haired pet friend. Typically, popular upright vacuums have large canisters or dirt tanks that can hold much more pet hair compared to even the best robotic vacuums. One of the top-rated vacuum that would work well for long-haired pets is the Bissell Pet Hair Eraser 1650A Vacuum Cleaner. This high quality vacuum for pet hair has a cyclonic hair-management system that spools the hair together to prevent it from clogging the vacuum cleaner. Additionally, this innovative vacuum has a tangle-free brush roller that keeps long pet hair from wrapping around it. Below is a comparison chart showing the top 10 best vacuums for pet hair in 2018-2019. As shown above, there are so many amazing pet vacuum cleaners that are packed with useful features and special technologies. With all the great options available, it’s difficult to decide which best vacuum for pet hair you should purchase. 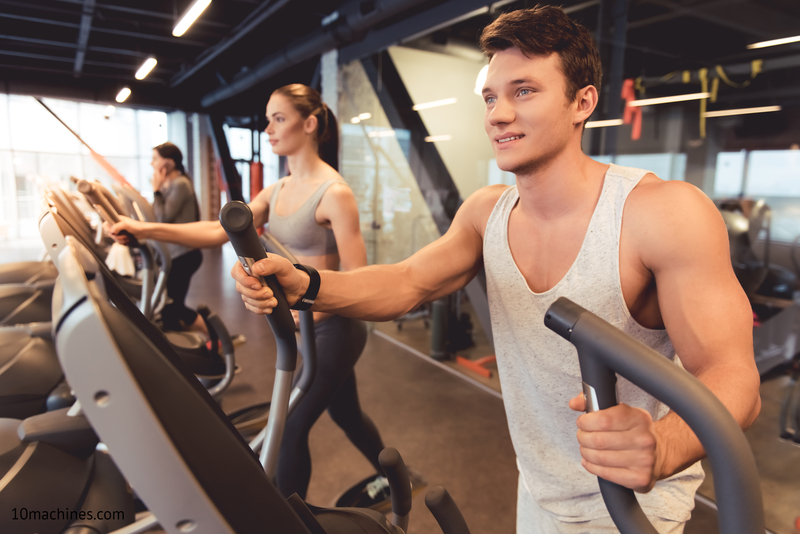 You’re probably thinking, “Should I get a handheld, an upright or robot vacuum cleaner?” Don’t allow all the bells and whistles to influence your purchasing decision. Your buying decision for the best vacuum cleaner for pet hair should be based solely on your cleaning needs rather than high-tech features. In case you’re wondering which Shark vacuum is best for pets, the Shark Rotator Powered Lift Away TruePet Upright Vacuum is one of the top rated vacuum cleaners for pet hair. This flagship model of Shark is the full-sized, original version that is equipped with a canister and the TruePet mini motorized brush. It is a versatile, top pet vacuum that cleans pet hair from bare floors surfaces, hardwood, tiles, rugs, carpets and difficult to reach places. Unlike traditional upright vacuum cleaners, this powerful pet vacuum was designed to take the hard work out of cleaning up pet hair. With the convenient fingertip controls, you can switch from bare floors to carpeted surfaces with little effort. The upright mode transforms this top rated vacuum into a traditional upright vacuum cleaner that glides across the floor. In this mode, you can use Shark’s dynamic swivel steering technology that allows you to navigate with absolute control around furniture, pet toys and other obstacles that may be in the way. This powerful brush loosens trapped dust, dirt, pet hair and allergens entangled into the fibers of furniture, pillows and more. To access this mode, simply detach the canister and what’s left is a long metal tube and the handle, making it easy to extend the TruePet motorized brush under chairs, tables and beds without having to move them. You can literally take cleaning to a whole other level in the above-floor mode. The handle detaches and becomes another powerful cleaning device with a long, stretchable tube that can attach to the Pet-Multi Tool. This allows you to detail clean above-floor areas, such as stairs, on top of cabinets, between sofa cushions and more. The Shark Pet Vacuum Suction is superior. Pet hair can really cling to surfaces, making it difficult to clean up. However, clingy cat hair are no match for the suction power provided by the Shark Rotator. Unlike other average vacuums, the Shark pet vacuum doesn’t lose suction while using it, or no matter how long you have it. To further enhance its cleaning performance, Shark has added LED lights to the handle and the floor nozzle to help you see in dark places. Additionally, there’s a duster crevice tool which is only found in best pet hair vacuum cleaners. For pet lovers with allergies and sinus problems, the Shark Pet Vacuum uses Anti-Allergen Complete Seal Technology plus a HEPA filter that work together to contain 99.9% of allergens and dust inside the canister. The Shark NV752 is the best upright pet vacuum for 2019 that money can buy. It didn’t lasts too long for some pet vacuum customers. A few customers didn’t appreciate how their pet’s hair wrapped around Shark’s motorized brush. All its features and weighing out various pros and cons make it the Best Vacuum for Pet Hair 2018 – 2019. 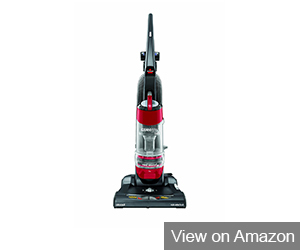 Click here to see the price of the Shark NV752 on Amazon. For pet lovers with low-pile carpet and bare hardwood floors, the ECOVACS DEEBOT N79 Vacuum Cleaner is one of the best robot vacuums for pet hair. This popular robot vacuum literally clears away your pet’s hairy residue for you. It is a great robot vacuum cleaner that works with Wi-Fi and has good suction power. The ECOVACS DEEBOT N79 cleans the smart way because it understands that all messes are not the same. Sometimes, you may need a spot clean on the floor or an entire room of your house. This is the main mode that helps the robotic vacuum conform to your home environment. In this mode, the top robot vacuum targets specific areas that require cleaning and glides over the spot until it’s clean. 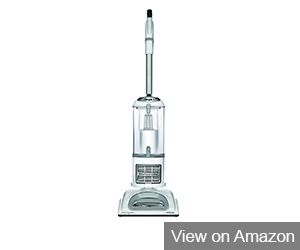 This uses intense suction power to clean an entire room full of pet hair and doesn’t stop until the job is done. Pet hairs can accumulate into small piles and float into the corners and edges of your home. In the edge mode, the top rated robotic vacuum cleaner goes to the edges and corners of your home and begins to clean away the debris. This robot vacuum uses a detachable, roller brush to raise and separate carpet fibers to remove clingy pet hairs, dust and debris for a thorough cleaning. For your bare floors, it uses two wide-reach, nylon side brushes to clean away debris, even in corners. Additionally, the good robot vacuum’s flat, small design allows it to clean under hard-to reach places, such as beds, tables and sofas. You can use your smartphone to program the ECOVACS DEEBOT N79 using the ECOVAC app. With this app, you have full control of what places in your home that needs cleaning. You can set a cleaning schedule, choose your desired cleaning modes, track its progress and battery life and get alerts for changing accessories. The robot vacuum is compatible with Android and Apple smartphones. Smart Protection and Smart Motion Navigation Technology allows the high quality robotic vacuum to detect and avoid obstacles. It is designed with anti-collision and anti-drop sensors. Sensors allow the robot vacuum to move through your home without bumping into obstacles on the hardwood floor. However, it does have bumpers just in case. The superior features of Deebot N79 put it in our best pet hair vacuum cleaners list. The ECOVACS DEEBOT N79 recharges automatically using a lithium battery. When fully charged, this vacuum can last up to 100 minutes, producing 500 PA of strong suction power with a minimum noise level. What would any robot vacuum be without a good filter? Inside this highly rated robotic vacuum is a HEPA-quality air filtration system that traps dust, particles and pet hair that can cause harmful reactions in people with allergies, sinus problems and lung conditions. There is some manual cleaning involved. For some customers, this robot vacuum didn’t last long. Caution beeps may become annoying. It was a very tough choice to choose between EvoVacs and iRobot Roomba, when it comes to Top-Rated Robot vacuums. With vigorous testing in our working area, we decided to give EvoVacs the 2nd place among our Best Vacuum for Pet Hair in the year 2018-2019. 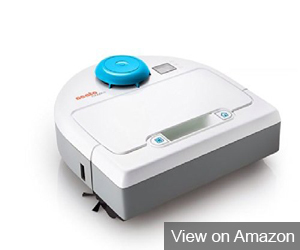 Click here to see the price of the ECOVACS DEEBOT N79 on Amazon. 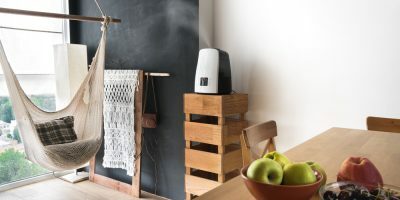 For 25 years, iRobot has propelled vacuum consumers into the future by inventing practical high quality robotic devices that helped make chores like vacuuming a lot easier. iRobot introduced the top robot vacuum cleaner called Roomba that has been constantly improving through the years. iRobot Roomba 980 deep clean floors, covers multiple rooms and connects to Wi-Fi. It was nicely designed with an AeroForce 3-Stage Cleaning System that uses power lifting suction and two tangle-free brushes to extract trapped pet hair, dust, dirt and debris. Additionally, there’s a Power Boost Mode that provides up to 10 times the air power to penetrate deep down into carpet fibers to get out dirt and debris. With the Power Boost Mode, you can feel confident about the cleanliness of your tile and hardwood floors. For homes that have a combination of bare hardwood flooring and carpeting, the the #3 top rated vacuum can handle all floor types using the Auto-Adjust cleaning head. With this great feature, the robot vacuum automatically adjusts its height to easily clean high and low surfaces. The iRobot Roomba 980 vacuum has its own app. iRobot Home App lets you control the vacuum using your smartphone at any time or anywhere. With your smartphone, you can program cleaning sessions and edge cleaning, choose how many passes the robotic vacuum should take through your home or start power boost mode. After it finishes cleaning, you can view a clean map to see the areas that was vacuumed. Also, the app gives you useful tips and quality customer support. Voice-activated control is possible due to its Wi-Fi connection. You can tell your robot to start, stop and recharge using Amazon Alexa and Google Assistant. The Advanced Dirt Detect Technology uses dirt detect sensors to determine high-traffic areas in your home that has the most pet hair and debris. When your robot vacuum recognizes these areas, it provides extra cleaning. The innovative Roomba Vacuum can clean multiple rooms and keep track of their location, thanks to the iAdapt 2.0 Navigation with Visual Localization Technology. This top feature lets the robot vacuum maneuver and clean its way through an entire level of your home. Due to several multiple smart sensors, this high quality pet vacuum hunts out dog hair, dust and dirt under the bed, under tables and other hard-to-reach places. The powerful iRobot Roomba 980 runs and cleans non-stop for 120 minutes. When it’s all done, it checks into the home base charging station and recharges. Once your good robot vacuum is recharged, it continues cleaning until the job is done. Some customers complained that the pet vacuum left scratches behind on their bare flooring. It didn’t last long for some customers. For some, the robot vacuum didn’t connect well to their Wi-Fi networks. A few customers stated that the roomba vacuum did not navigate well through their homes. Without any doubt, iRobot Roomba is among the most popular robot vacuums for pet hair. As we mentioned earlier, it was difficult to gave a 2nd and 3rd position to both pet vacuum rivals. However, we gave 3rd position to iRobot Roomba based on its pricing and quality. We love this highly rated pet vacuum and this is the reason it made the way to third position in our “Best Vacuum for Pet Hair” Comparison chart. 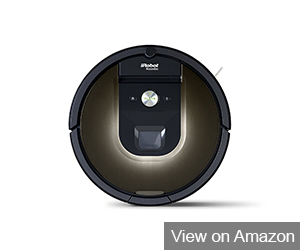 Click here to see the price of the iRobot Roomba 980 Vacuum Cleaner on Amazon. The Eureka EasyClean 71B is a corded, handheld vacuum cleaner packed with decent features to make picking up pet hair fast and easy. It is the cheapest vacuum for pet hair and very affordable as compared to other pricey pet vaccums, so you cannot expect top notch quality when selecting this pet vaccum for your home. The small pet vacuum is designed with a dual motor system. One motor runs the brush roller and the second motor provides high-power suction. The strong suction power extracts pet hair and debris from carpets and upholstery. An exclusive feature called the “Riser Visor” helps you clean the vertical section of each stair, which usually gets forgotten when vacuuming. Weighing only 4.8 pounds, this great vacuum is lightweight enough to hold as you vacuum stairs. Do you take your dog or cats for joy rides on the open road? If so, you’ve probably noticed the pet hair he leaves behind on the car seats, hardwood floors and windows. The Eureka EasyClean 71B Vacuum cleaner can clean pet hair from those tight and hidden places inside your car. Also, the 20 feet long cord will extend the reach of the vacuum cleaner to give while you clean your car’s interior. Riser Visor System combined with the stretch hose and on-board crevice tool can thoroughly clean the upholstery of chairs, sofas and other furniture. You can clean multiple floor surfaces including hardwood floors with this nice handheld pet vacuum, including hardwood, carpet, tile, vinyl and laminate. It can be used with or without the roller brush. Simply turn the brush roller on with the switch when you need it for cleaning up tough, embedded messes on carpeted floors and turn it off when you’re us it on bare floors. After, you’re done vacuum cleaning, you can dump the canister, wrap the 20 feet power cord around it and conveniently store the pet vacuum. A few vacuum buyers didn’t think that the roller brush didn’t last long. Some customers felt that handheld vacuum was quite heavier than they thought. It didn’t last long for some pet vacuum users. There is no other best pet hair vacuum cleaners which is that much cheaper and gets the perfect cleaning done without compromising on quality. The lower price factor with its easy use are the only important factors that helped this good pet vacuum to get the 4th spot on our Best Vacuum for Pet Hair Comparison Chart. 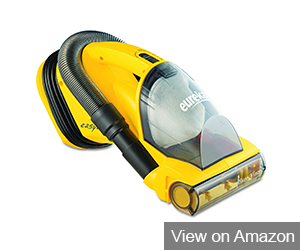 Click here to see the price of the Eureka EasyClean 71B on Amazon. Shark Lift-Away Pro NV501 is an upright canister vacuum that provides powerful suction to deliver the ultimate cleaning performance to your home. This is one of the best pet hair vacuums because it’s portable and loaded with awesome features to suit your cleaning needs. The Lift-Away canister detaches with a push of a button and becomes a portable cleaning device that lets take the power of the Shark pet vacuum anywhere with you in your home. With the canister, you can do above-floor cleaning on the stairs or in your living room, dining room, bedroom and other rooms. You will be able to get rid of pet hair in tight spots and high spots, something you wouldn’t be able to do using it as an upright vacuum cleaner. Are you having trouble removing dog hair from your bare hardwood floor surfaces? Shark has created an admirable feature called the “Dust Away,” which is specifically designed for cleaning hard floors. It is an attachment that glides across hard floor surfaces and collects large and embedded debris quickly. You can shut off the brush roller with a button for places in your home that require gentle cleaning, like bare floors. This high-end feature prevents damage to your hard floor and wood floor surfaces. The suction release feature was included to help you optimize your vacuum cleaner’s performance. With this good feature, you can adjust suction power. It also comes in handy when vacuuming high-pile carpets, rugs to delicate fabrics, like curtains. 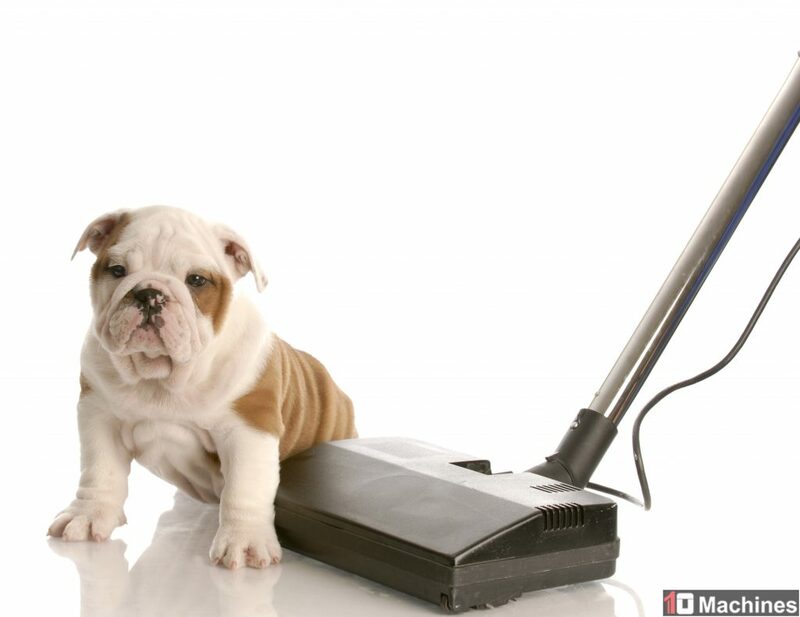 While you’re vacuuming, you can rest assured that the pet hair and other dender you’ve removed stay where it should. The Anti-Allergen Complete Seal Technology and washable HEPA filter traps 99.9% of allergens, dust and particles inside the quality pet vacuum. Other top features of pet vacuum include the Pet Power Brush for upholstery on furniture, 8 inch Crevice Tool for tight spaces and a Dusting Brush for cleaning curtains, lampshades and other items. The pet vacuum didn’t last long for some customers. A few customers believe that it was poorly manufatured. Some customers complained about poor vacuum suction. Click here to see the price of the Shark Lift-Away Pro NV501 on Amazon. Hoover Rewind is a top rated bagless, upright vacuum cleaner fully-equipped with everything you need to remove pet hair from your home. It uses Hoover’s WindTunnel and Cyclonic Technology to lift and remove surface and embedded pet hair and debris from floors and upholstery. This good pet vacuum is designed with a powerful 12-amp motor that provides strong suction to every part of the vacuum to give you the best cleaning performance at home. The Air Powered Turbo Hand Tool is a cleaning head with a roller brush that connects to a 12 inch extension wand and an 8 feet stretch hose. With this powerful tool and its far-reach capabilities, you can remove pet hair from your furniture, stairs, hard floors and hard-to-reach places. Your pet’s hair floats and lands in some of the oddest high places around your home. The Hoover Rewind’s Dusting Brush Tool connects to the extension wand and stretch hose to let you reach high enough to clean pet hair from curtains and air vents. It’s all about the details with the Crevice Tool. It connects to the extension wand to help you clear away dog hair and dander that wanders into the corners and edges all around your home. This nice tool will really get the details. Hoover Rewind pet vacuum works on a variety of tough floor surfaces. With the 5 position height adjustment system, you can choose the highest setting for high carpet areas and the lowest setting for bare floors. The in-between settings are for medium hardwood floor surfaces. Allergy sufferers can appreciate the washable HEPA filter included in this best pet hair vacuum cleaner. This filter traps dust, dander and particles that affect people with allergies and lung conditions. There is a convenient System Check Indicator to alert you when the HEPA filter needs cleaning or the dust cup needs emptying. It is probably the best hoover for pet hair based on its fantastic features. A few customers complained that the low quality brush roller burned their carpet while they were using the hand tools because there’s no off switch for the brush roller. Some customers of Hoover pet vacuum felt that the suction lessened over time. The pet hair vacuum didn’t last long enough for some customers. 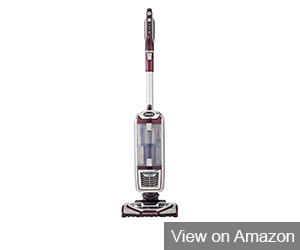 Click here to see the price of the Hoover Rewind Upright Vacuum on Amazon. Eufy RoboVac 11 is one of the best pet hair vacuum cleaners for those who want to clean floor surfaces using high-power suction and advanced technology. It is specifically designed for homes with low-pile carpets and hardwood flooring surface. The high quality three-point cleaning system has one roller brush, two side brushes and 1000 PA of strong suction power. With this superb cleaning system, pet hair and debris is loosened and extracted from your floor surfaces. There are three cleaning modes to make sure your floor surfaces get a tough cleaning action. In the edge mode, Eufy RoboVac 11 goes to work vacuuming pet hair from the edges and corners of your home. The Spot Mode goes directly to the specific area that requires attention and starts cleaning. Finally, the Max Mode focuses its cleaning capabilities on embedded debris and hard-to-reach places until these areas are clean. Its low-profile design lets the robotic pet vacuum travel under furniture to grab hidden dirt and debris. Additionally, its drop-sensing technology helps it steer away from falling off edges; and its infrared-sensor helps it avoid obstacles. Other superior features include a Triple Filter System, remote control and Li-On battery that lasts up to 1 ½ hours. The robotic pet vacuum didn’t last long for some customers. A few unsatisfied customers didn’t think the drop-sensing technology actually worked. 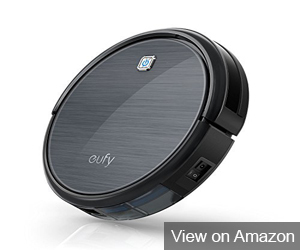 Click here to see the price of the Eufy RoboVac 11 on Amazon. The Bissell Pet Hair Eraser 1650A deodorizes and cleans away pet hair and kitty litter debris from your home using high-end tools and superior cleaning technology. It was designed by pet owners for pet owners. You can clean a variety of floor surfaces with this good quality upright vacuum cleaner, including hardwood flooring, carpets and upholstery fabrics. Cyclonic Pet Hair Spooling System manages the way pet hair is captured inside the canister. When you vacuum, this innovative system separates pet hair from particles and spools it together to prevent it from clogging parts of the vacuum cleaner. Unlike other typical pet vacuums, the Bissell Pet Hair Eraser produces strong edge-to-edge suction combined with the tangle-free brush roller. These two wonderful features working together lets you to clean up more pet hair and debris in one motion. Pet owners know that vacuuming alone is not enough. You need superior quality specialized tools to help clean other places in your home that pet hair accumulates on. This high-end vacuum gadget is a smaller version of the brush roller, only difference is that it lets you clean embedded pet hair and dirt from above-floor areas and furniture. You can connect this pet hair vacuum brush to the end of the extension wand. The rubber fingers brush can remove stubborn debris from your furniture. With the soft dusting brush you can clear away debris from delicate surfaces, such as curtains and lampshades. This pet vacuum tool is ideal for removing pet hair from edges, corners and other tight places. With the LED light attached to the end of the crevice tool, you can see what you’ve been missing. The wand stretches and connects to all the cleaning tools. It stays tucked into the pet vacuum until you release it with a push of a button. While you’re cleaning, the Smart Seal Allergen System is working by keeping the dust and pet hair inside the high quality pet vacuum. Additionally, the Febreze Pet Odor Eliminator filter deodorizes and freshens the air as you vacuum. Some customers complained that the handheld vacuum is too bulky and heavy. A few unhappy customers didn’t think that premium pet vacuum works perfectly on hardwood floors. Click here to see the price of the Bissell Pet Hair Eraser 1650A on Amazon. Sometimes, cleaning up pet hair doesn’t have to be complicated. An effective and well-made pet vacuum cleaner is all you need to clean your home nicely. You get just that with the Bissell CleanView Pet Vacuum Cleaner 1319. There are a couple of good reasons why Bissell 1319 made it to our to our list of best pet hair vacuum cleaners for 2018-2019. This favorite upright pet vacuum uses a powerful multi-cyclonic system to deliver a deep clean to bare flooring, carpets, furniture and other floor and above-floor surfaces. With the on/off brush roll switch, it’s easy to move from bare and carpeted floors. The Triple Action Brush Roll of the #9 top rated pet vacuum was designed with long and short silky bristles. Long, silky bristles gently remove pet hair from hardwood floors without scratching. On carpeted surfaces, long and short bristles work together to loosen, lift and remove stubborn pet hair and debris. Pet Hair is a nuisance and collects everywhere. With the Pet Turbo Eraser Tool, you can clean places the large brush roller can’t get like pet beds, sofas, chairs, etc. Bissell CleanView Pet Vacuum Cleaner comes with other useful pet tools, such as Pet Hair Corner Tool, Lint Strip Dusting Brush and Crevice Tool. All pets’ tools connects with the extension wand and stretch hose. All pet hair are stored in a dirt tank with an easy release bottom. The odor and allergens typically associated with pet hair are contained by a multi-level filtration system. This high-end system includes an odor-absorbing carbon filter. When this filter needs cleaning, a Dirt Filter Indicator will let you know. A few customers didn’t think the vacuum was durable enough. It didn’t last long for some customers. Suction wasn’t powerful enough for a few folks. Some customers thought it was heavier pet vacuum. 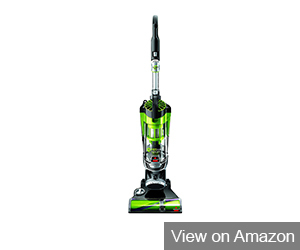 Click here to see the price of the Bissell CleanView Pet Vacuum Cleaner 1319 on Amazon. Try the Neato Botvac Robot Vacuum Cleaner if you’re tired of pushing around a traditional vacuum cleaner for pet hair. Neato is a premium vacuum cleaner and comes with a high price tag. It is Wi-Fi enabled, smart cleaning device that uses powerful suction and technology to clean all your floor surface types. You can use the high-tech robot pet vacuum with or without a smartphone. With a smartphone, you can access the Neato App and start and schedule cleaning sessions from anywhere. For example, if you are working late, you can start a cleaning session immediately by using your smartphone. It’s also compatible with Google Assistant, Amazon Alexa and Facebook Chatbot. The robot pet vacuum is d-shaped design combined with Corner Clever Technology work together to get deep into corners, edges and other hidden places. Additionally, the pet vacuum uses a combo brush, spiral blade brush and a side brush to create a wide cleaning path. The strong suction and cleaning brushes pick up pet hair, dust and crumbs from your floors. Its ultra-performance filter keeps allergens inside the quality pet vacuum and out of the air. All debris is stored in an extra-large dirt bin that is easy to remove and empty. Precise Laser Smart Navigation technology helps this great pet vacuum cleaner maneuver its way from room to room, finishing up 4 times faster than other robot vacuums. Additionally, this technology allows it to detect obstacles and furniture to moves around them. When the battery power is declining, the top pet hair vacuum automatically returns to the charging base to recharge. Once it’s done, it returns to where it left off. Compatible with Google Assistant, Amazon Alexa & Facebook Chatbot. A few customers complained that this premium pet vacuum didn’t avoid obstacles and fell off ledges. Some customers stated that the robot pet vacuum malfunctioned after a short time. 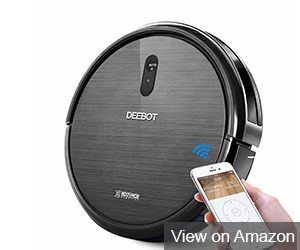 Click here to see the price of the Neato Botvac Robot Vacuum Cleaner on Amazon. In 1901, British engineer Hubert Cecil Booth and American inventor David T. Kenney created the motorized vacuum cleaner. Since its creation, vacuum cleaners have come a long way. Today, pet hair vacuum cleaners use advanced technology in a practical way. 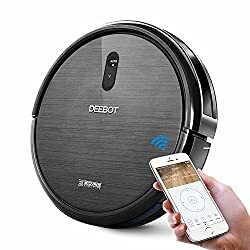 Consumers now have a choice between pushing a pet vacuum cleaner with swivel steering themselves or scheduling a cleaning session with a robot pet vacuum from anywhere using a smartphone. Vacuum cleaners and technology are the perfect solution for eliminating pet hair and dander from your home. The technology aspect is what gives you different cleaning options and better cleaning performance. Even upright vacuums have benefited from technology. It may not clean your home with a touch of a button, but it certainly has enough gadgets to clean more than floors. The best upright pet vacuum cleaners have crevice tools for detailed cleaning jobs, brush rollers that resist tangling pet hair, simple switches that allow you to move from carpet to bare floors, swivel steering to prevent you from having to move around furniture and filtration system that traps allergens, dust and particles. Robotic vacuum cleaners take practical technology to a whole other level. If you are busy all the time, then you don’t have time to vacuum up pet hair. A good quality robotic vacuum cleaner will clean your floors while you’re away. Some of the best robot vacuums were built with navigation technology to help it remember the layout of different levels of your home. 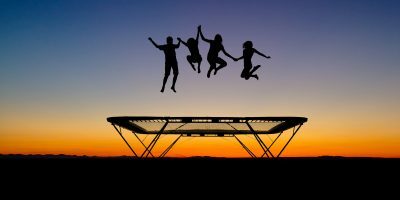 Sensors to help it avoid ledges and obstacles and Wi-Fi connection. Additionally, most popular robotic vacuum cleaners run on a rechargeable battery and recharges automatically. The best pet vacuum cleaners are constantly evolving to help you achieve better results when you are cleaning pet hair and debris from stairs, hard bare floors, furniture and carpets etc. Owning a pet doesn’t mean it has to look like you do. The moment guests sit on your furniture and get up looking like they’re wearing a fur coat, it’s time to start searching for a better vacuum for pet hair. However, you shouldn’t run out and just purchase the first pet hair vacuum you see on sale. Handheld Vacuum Cleaner – A handheld vacuum cleaner is ideal for a small dog, or if you already have a good quality pet vacuum and you just need a backup for small dander issues. Upright Vacuum – An upright model is a great vacuum for dealing with pet hair. Typically, these are fully-equipped with specialized attachments that help you pick up the pet hair from stairs, furniture, curtains and so much more. These high-end pet vacuums can even handle crumbs, pebbles, heavy debris, dirt and wads of fur from your home. These vacuums can come with a bag or without one. However, upright vacuums can be bulky and heavy. Additionally, their brush rollers can get clogged if you don’t look for one that has a tangle-free brush roller. Robot Vacuum Cleaners – Robot vacuum cleaners use smart technology to clean your hard floors. These are small little cleaning devices that can connect to Wi-Fi, memorize the layout of your home and automatically recharges itself. However, these pet vacuums only clean floors. So you will definitely need an additional good quality pet hair vacuum with attachments to do above-floor cleaning. You should look out for a vacuum for pet hair that is durable and can deal with pet hair in the best way possible. Most pet owners realize the importance of cleaning dog hair out of their home. Pet hair can leave a bad odor, which can make your house stink. Oftentimes, it congests the air inside your home. Not only does your pet shed hair, but they also shed dander. For people with allergies and lung conditions, these two things can trigger harmful reactions. It is important to maintain good air quality when there are pets in the same house with allergy sufferers and people with breathing difficulties. Superior Suction Power – The best vacuum for pet hair must have superior suction power. Good suction is key when it comes to cleaning up stubborn, clingy pet hairs. The more powerful the suction, the faster you can be done with picking up the pet hair. A High-Quality Filtration System – A pet hair vacuum with a high-degree filtration system traps allergens and particles inside the vacuum, clearing the air you breathe. 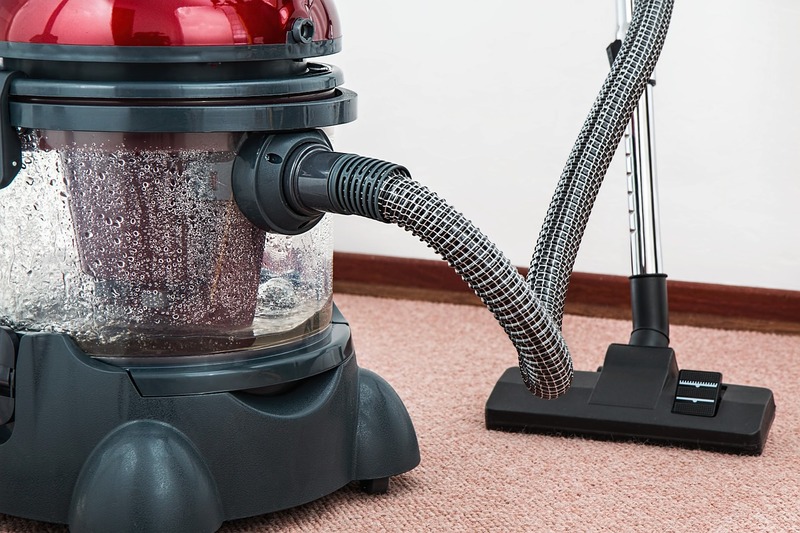 Additionally, you’ll want to look out for a good performance pet vacuum with washable filters. This will save you money in the long run. Pet Tools Or Attachments – These little tools help you get rid of pet hair in hard-to-reach places and places that require a delicate touch. With these nice pet tools, you can vacuum up pet hair above-floor level. Tangle-Free Brush Roller – A brush roller is tough for handling pet hair. Its bristles rotate at a fast speed to loosen and pick up embedded pet debris from carpeted floors. On/Off Roller Brush Switch – This may be just a switch, but it’s an important feature to have your top selection of the best pet hair vacuum. A brush roller deeps clean carpeted areas and can burn your carpet if it is left there too long. For example, if you are using attachments to clean above-floor areas while the brush is still rolling at a rapid speed, you can ruin areas of your carpet. With an on/off switch, you can stop the brush roller from moving while you are picking up pet hair from above-floor areas. Cleans Multiple Surfaces – Most homes have different types of floor surfaces. Chances are if your home has carpet in most rooms your kitchen area probably has bare or hardwood floors. Also, if you want a superior vacuum with pet tools included, you’ll need to make sure they’re tools that can handle delicate upholstery fabrics. You’ll want to shop for a best pet vacuum cleaner that can adjust to and clean multiple floor surfaces. Easy To Clean – Once you remove all the pet hair, dander and debris from your home, you’re going to want to dispose of it quickly and easily. One of the worst things to happen is trying to empty a vacuum canister or dirt tank and it gets all over the floor you’ve just cleaned. So, you should search for a pet hair vacuum that is easy to empty after cleaning. A Good Warranty – A warranty protects your precious purchase and your hard earned money. While it may be the manufacturer’s intention to make a durable pet hair vacuum cleaner that doesn’t malfunction, that isn’t all the time the case. You’ll want to make sure your solid warranty covers a nicer replacement or a full-refund. Before purchasing any pet vacuum cleaner, you should do your homework. Don’t be afraid to ask questions. The more you know, the better decisions you can make. Research the pet hair vacuum cleaner’s reliability and performance through customer reviews because positive and negative reviews are written by people like us who have done hours of research, already purchased the product, tested and tried it. A pet hair vacuum is a necessity when you have pets. It is essential in maintaining the upkeep of your home. It is very important to pick the right vacuum for pet hair, since you are going to use this best model in the long run. Imagine what state your house would be in if you didn’t have vacuum cleaner for picking up pet fur and dander. If you’ve selected the best vacuum for pet hair, it can enhance your cleaning results, make cleaning faster and easier and reduces allergens in the air you breathe. 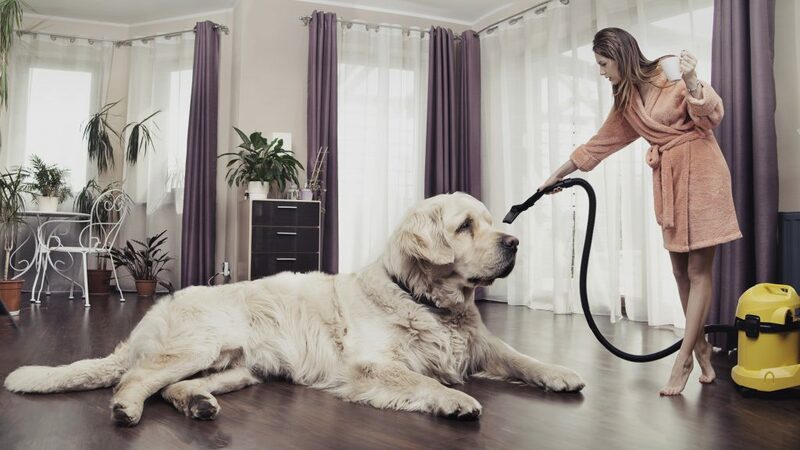 With vacuum technology constantly evolving, you can look forward to top brands and manufacturers bringing you better suction, innovative pet tools and other high quality features in best pet hair vacuum cleaners.